Found on a table in an Fairbanks voting precinct, the ballot was never counted and the candidates are tied. 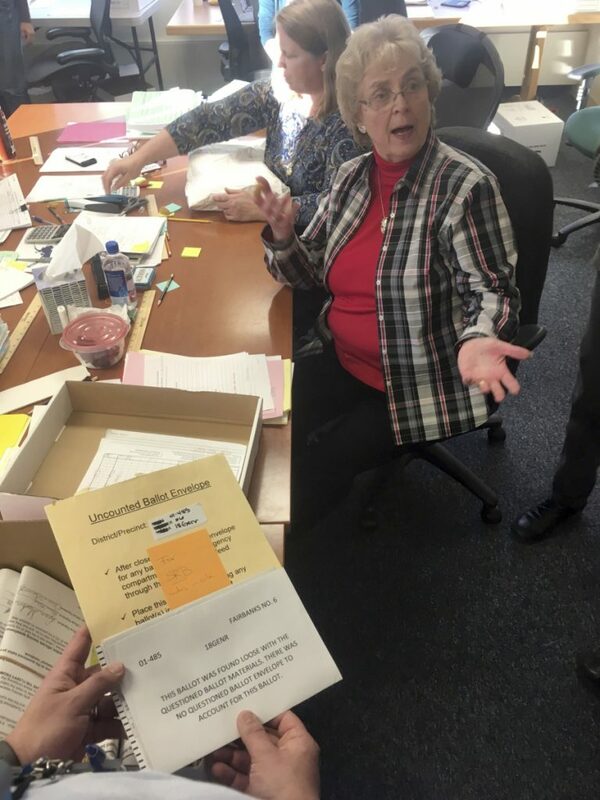 JUNEAU, Alaska – Control of Alaska state government, at least for the next two years, could hinge on a mystery ballot that an election worker found on a table in a Fairbanks voting precinct more than three weeks ago. If Bart LeBon wins, the Republicans would control the House, Senate and the governor’s office. If Dodge wins, it would set off a mad dash between the parties to build a caucus of at least 21 members needed for a majority in the House. He said it’s likely this ballot was validly issued and voted and should be counted for Dodge. He also wants the Division of Elections to count for Dodge a ballot with ovals marked for her and LeBon but with an “X” over the oval next to LeBon’s name. That ballot wasn’t counted for either candidate. For the candidates, it’s been a three-week rollercoaster ride marked by lead changes before the tie was declared and by the appearance of the mystery ballot. If the race remains tied after the recount and possible legal challenges, state law calls for a winner to be determined “by lot.” A coin toss decided a tied House race in 2006. “I’ve come too far to have a coin toss settle this,” LeBon said. He said he didn’t recall the race being stressful, pointing out that he also had a good job in the fishing community of Dillingham to focus on if he had lost.